We have built built iPhone and iPad apps with different sized grid layouts for each. We have also built an android app which closely matches the iOs app but reflects the android user experience. 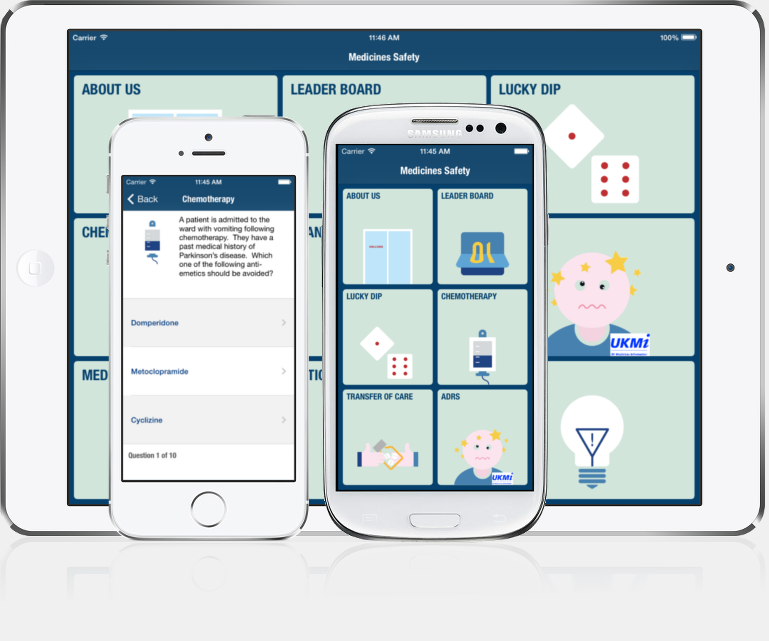 View or download ‘Medicines Safety’ at the app store. View or download ‘Medicines Safety’ at the android market. 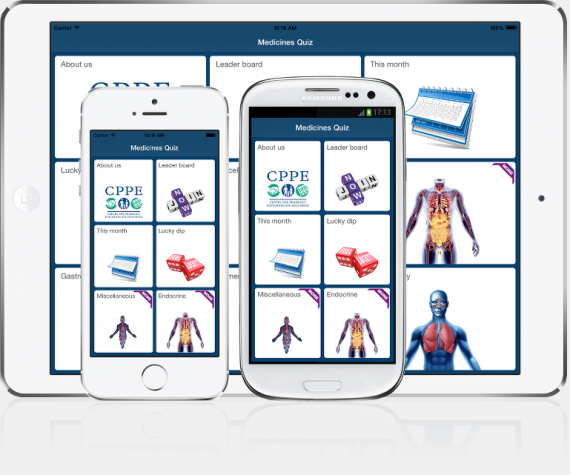 View or download ‘Medicines Quiz’ at the app store. View or download ‘Medicines Quiz’ at the android market. Our latest universal app ‘Surgical Flaps” is now available in Apple’s app store, it works on both the iPad and iPhone with the display optimised for the device upon which it is running. ‘Surgical Flaps’ presents the science and art involved in designing local flaps, which are useful in the reconstruction of various skin defects. ‘Surgical Flaps’ is an educational tool which takes the user on a journey exploring the techniques involved in the design of 22 commonly used local flaps in modern surgical practice. The app is designed to optimise understanding of these complex procedures among medical students, trainee plastic and dermatological surgeons, as well as surgeons of all specialities interested in flap surgery. Each technique is clearly explained using a combination of state of the art animation, clear diagrams and informative text. View or download ‘Surgical Flaps’ at the app store.